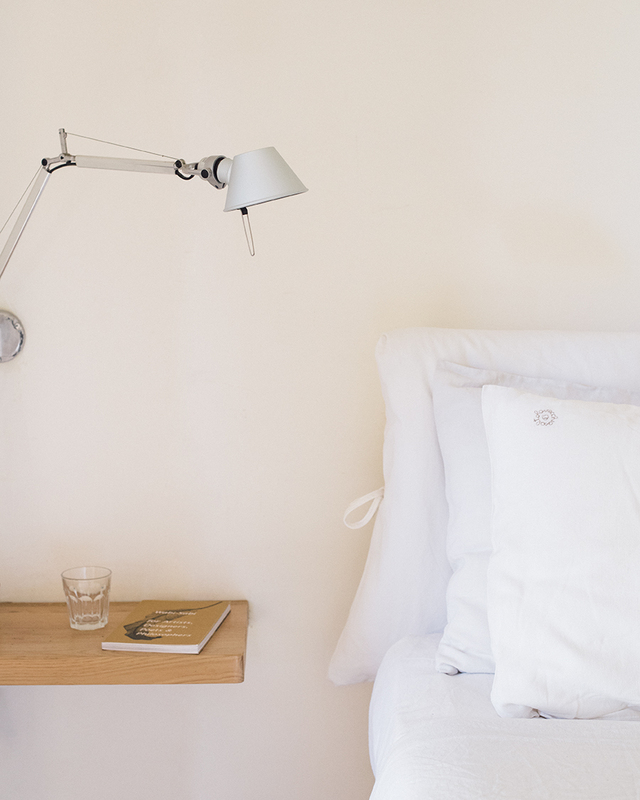 First thing in the morning: open bedroom doors and wave hello to the sea. As a contrast to the dark stone exteriors, the houses are light and airy on the inside. Since the houses are made of natural stone found on the island, they blend particularly well in the surrounding landscape. Spot our living room window on the right. Outdoor dining area in Dammuso Pineta. 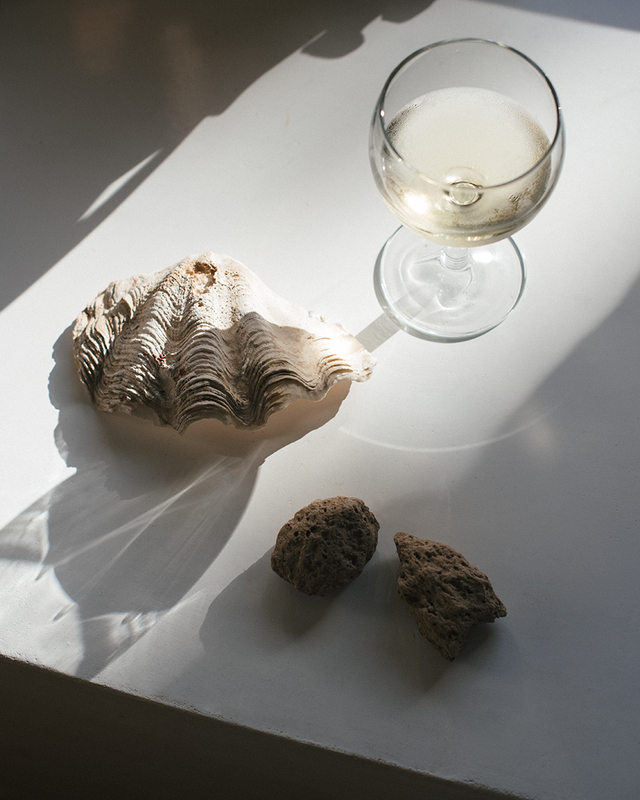 A local wine to try: Sole E Vento (zibibbo, grillo) by Marco De Bartoli. Escaping the sun in the afternoon. 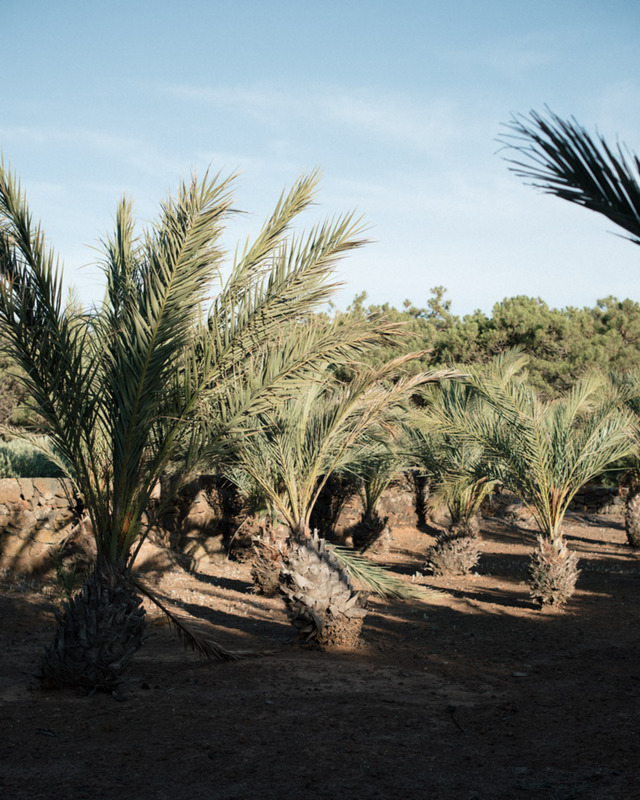 Dammuso Pineta is surrounded by pinapple palms and pinewoods. To grow flowers and fruit in Pantelleria, locals used to build Arabic gardens with thick stone walls to protect the plants from the wind. 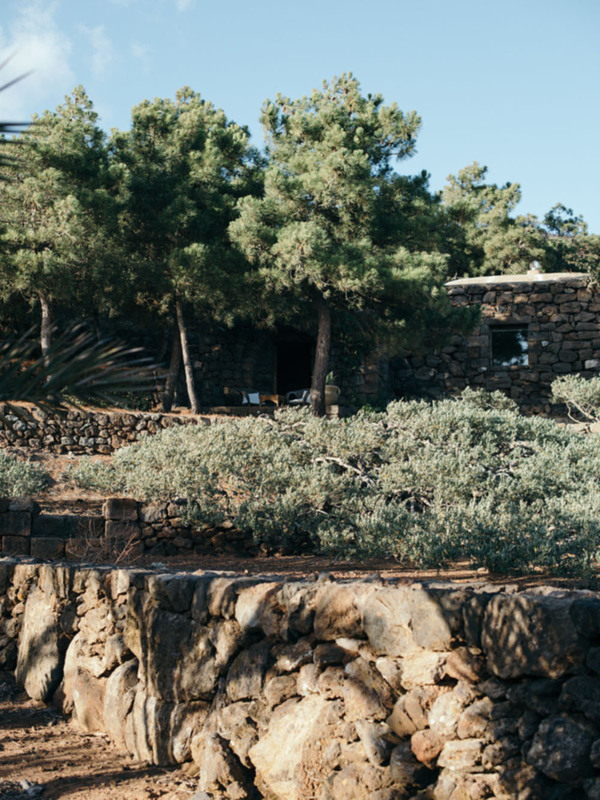 Compared to the most popular island destinations in Italy, Pantelleria is still delightfully serene and wild. The small island lies in the Mediterranean 100 km southwest of Sicily and 60 km east of the Tunisian coast. A dammuso is a typical Pantellerian dwelling, and the best option for staying on the island is to rent one. We found Tenuta Borgia online a few years back and booked our trip right away. 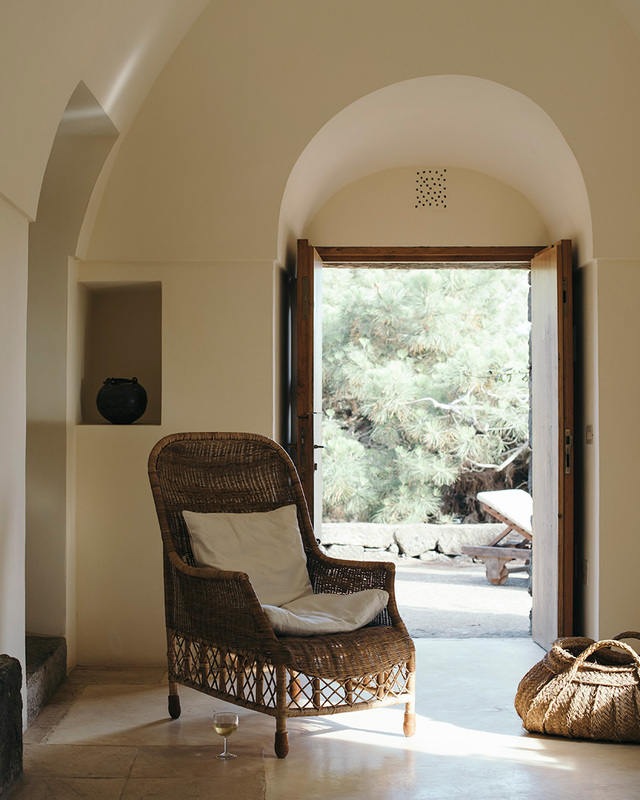 Located on the southern part of Pantelleria, Tenuta Borgia consists of seven ancient dammusi nestled in pinewoods of twelve hectares. 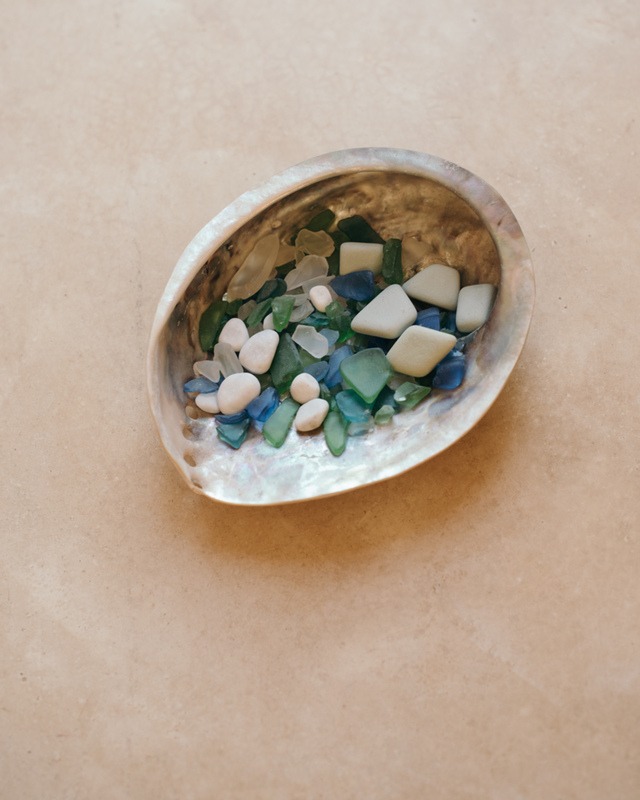 The houses are carefully restored according to local building traditions and the interiors combine simple, robust furniture with a neutral color palette and a single modern element here and there. 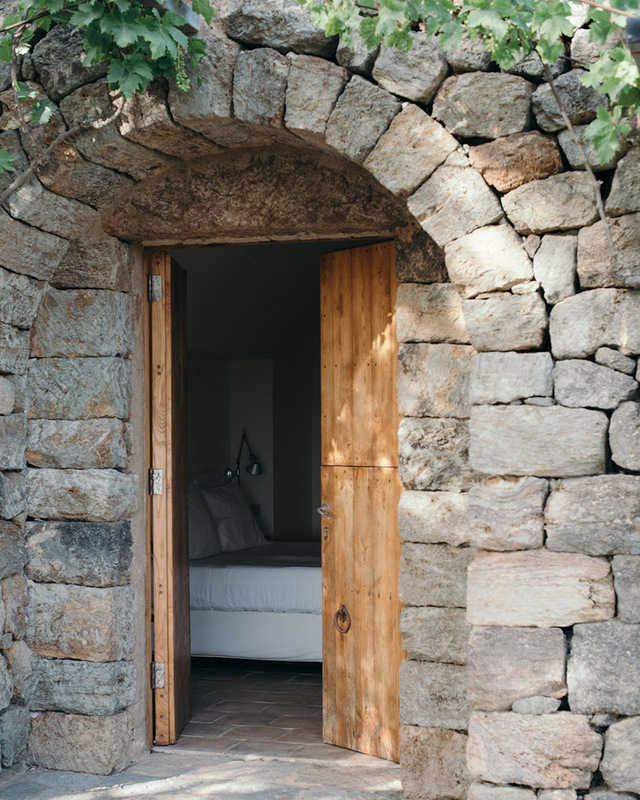 A big part of the charm of Pantelleria is the feeling of being a little adventurous, and for that, Tenuta Borgia makes the perfect home base. 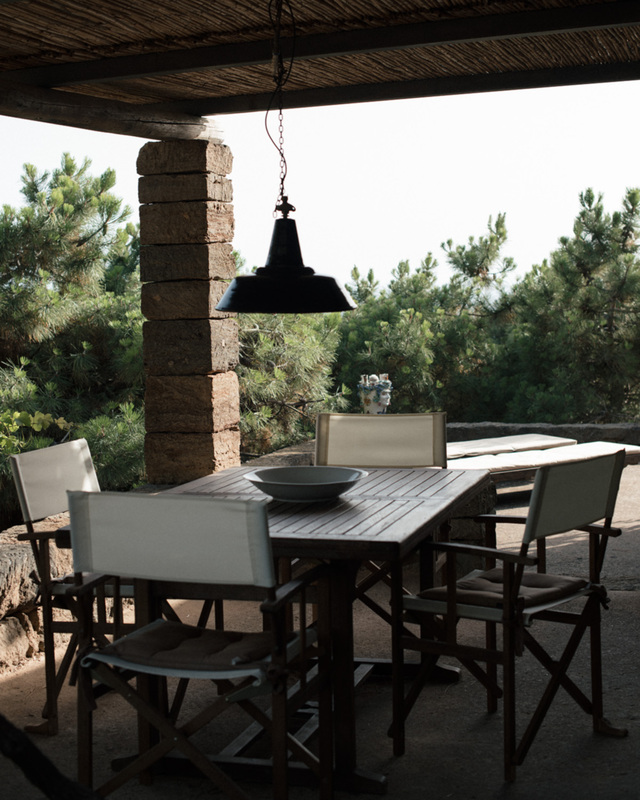 Having your morning coffee or pre-dinner aperitivo outdoors, you do not see or hear your neighbors. You stock up your own fridge, make your bed, and feel like you are on your own, yet the assistance is there, when you need restaurant recommendations or want to rent a boat. From finding the right dammuso to getting into the island, arranging a rental car and choosing the places worth visiting, we were happy to have Sergio from Tenuta Borgia as our host and guide, a charming man with a great taste. Besides eating and sleeping well, we spent our Pantelleria days driving around the island in our blue Fiat Panda, sunbathing, swimming and snorkeling, making mud body masks, detoxing in a crater lake and visiting a natural sauna. The smallest houses at Tenuta Borgia sleep two, and the largest one up to eight people. We stayed in Pineta. Restaurants to try close by: La Vela and La Nicchia. We became regulars at both and ate well every time.